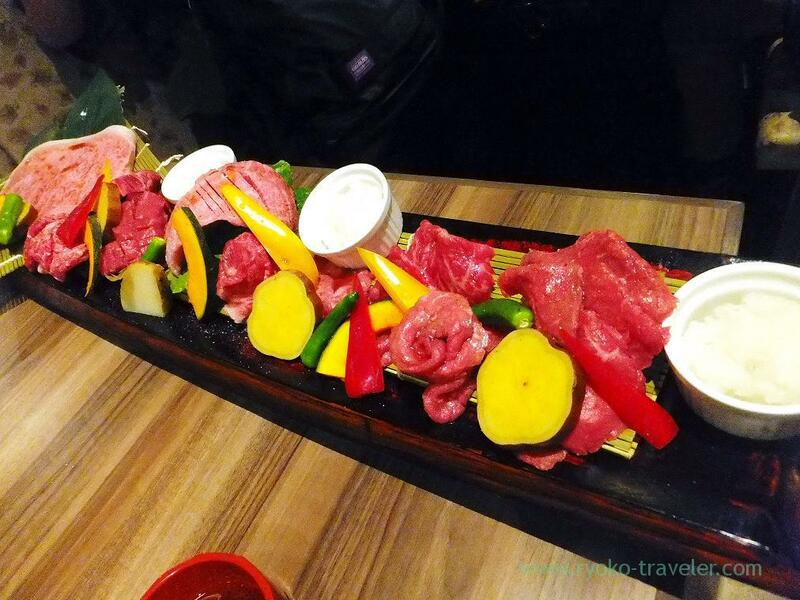 Oreno group started yakiniku restaurant next ! 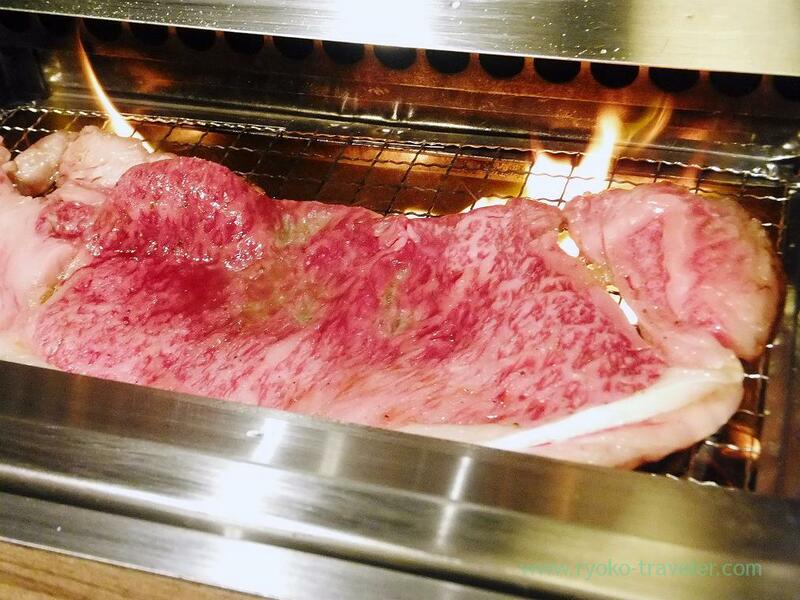 We had lunch at weekend at Ore no Yakiniku in “Ore-no” chains that is growing recently. 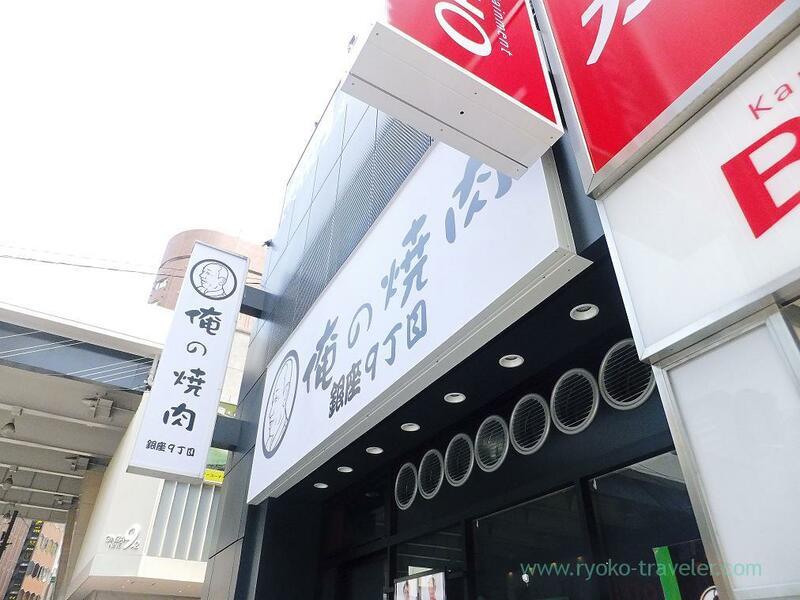 And, “Ore-no-Yakitori” is in the same building…. To tell the truth, I fed up with the monotone signboards !!! At Ginza area, “Ore-no-Yangtze river” opened just the other day. As its name, Chinese foods restaurant !! 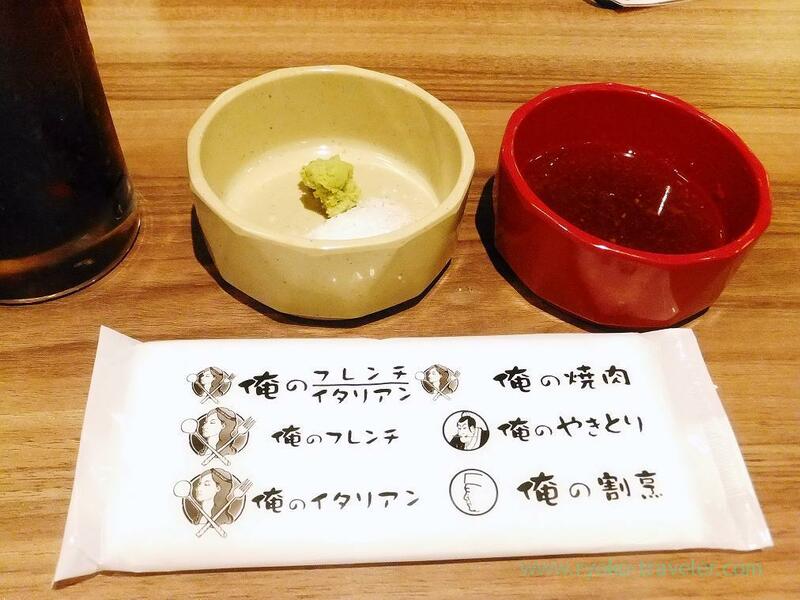 We already visited two “Ore-no” restaurants. 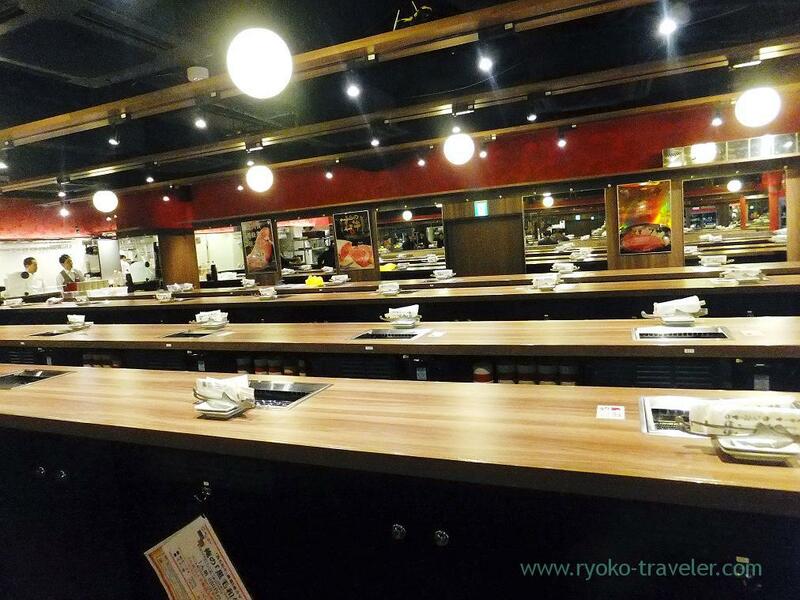 There’re two tables that can be seated if you reserve in advance, but it is stand-up-eating restaurant basically. As soon as we ordered our drinks, sauce, salt and wasabi was served. Anyway, we ordered assorted beef meats. The waitress said that it is very valuable ! Among them, this marbled sirloin attracted us ! And this thick meat, too ! 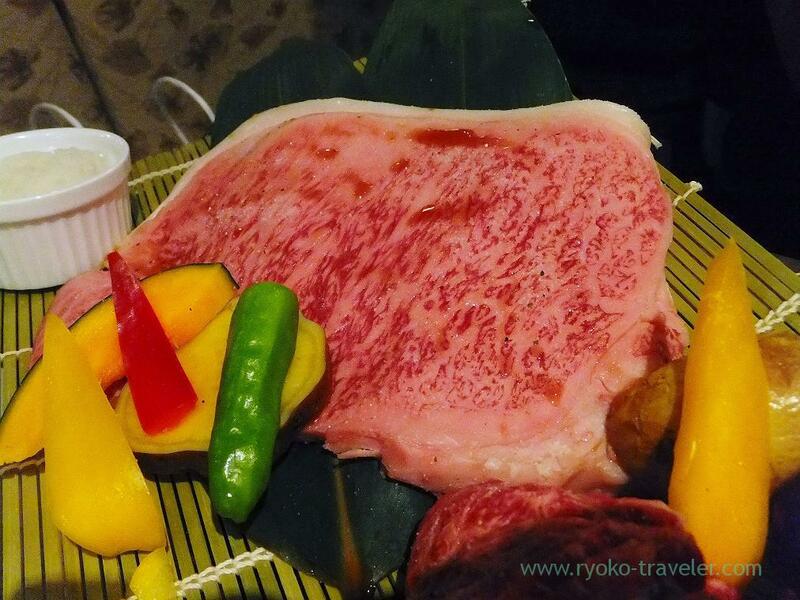 As this sirloin, as a whole, that assorted beef meats were so fatty, and finally our stomach was tired. I remembered. We’re now over 30 ! 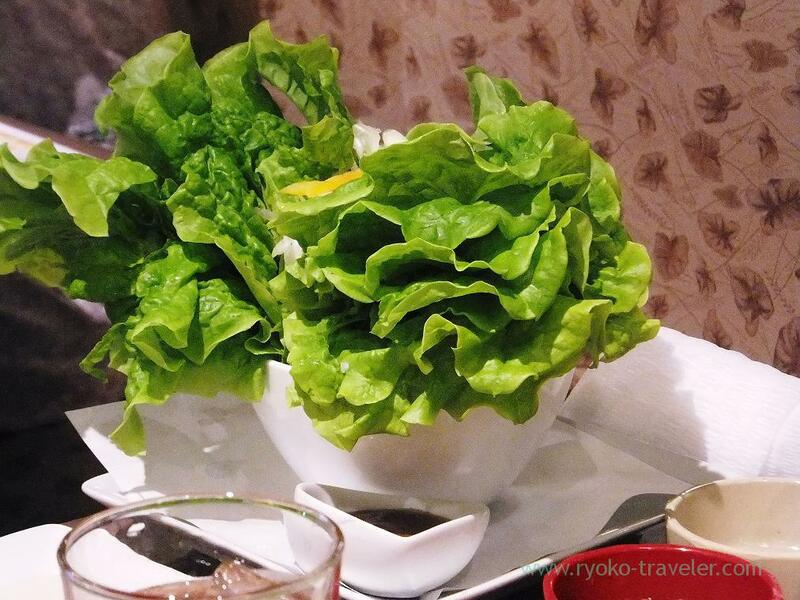 So, we needed fresh Korean lettuce !! We wrapped those meats in the lettuce and ate. 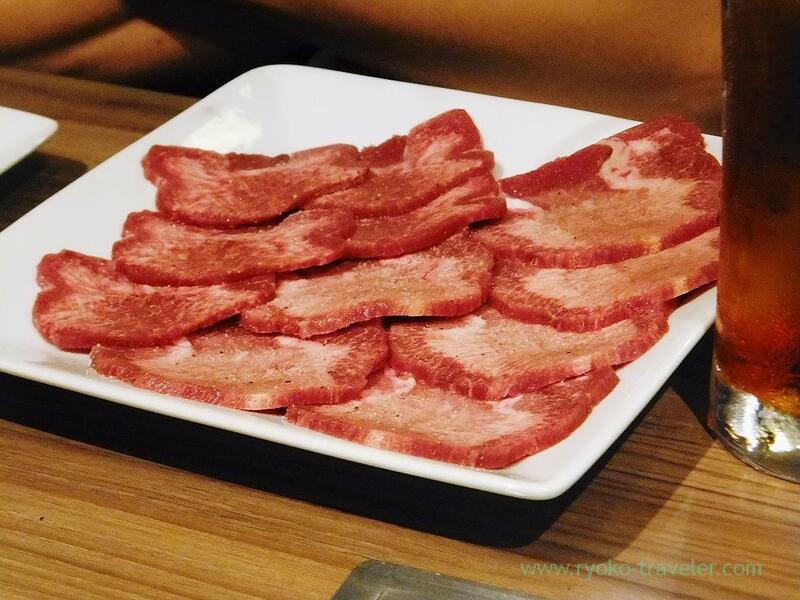 We ordered salted tongue (牛タン塩, 750 yen), too. 2 portion. I didn’t feel the taste end texture of soft-shelled turtle much…. 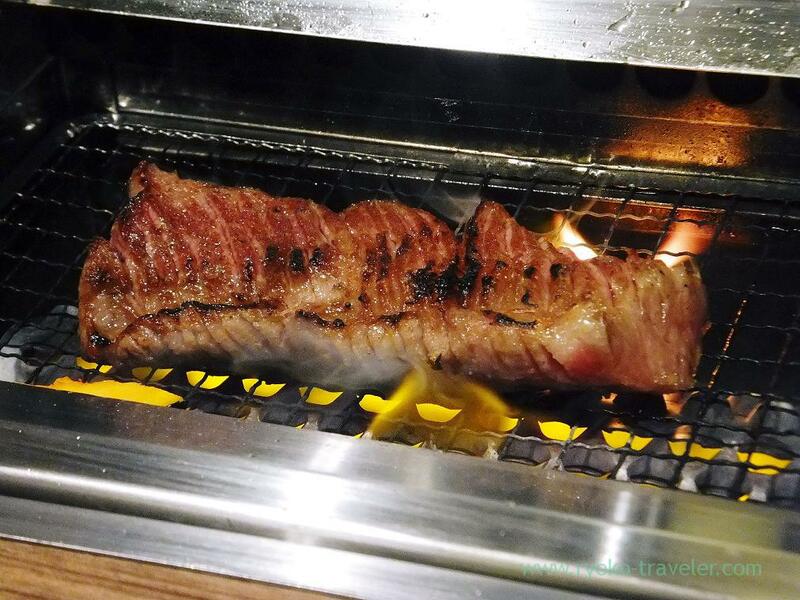 But the grilled meat was fatty, and we could refresh. By the way, they have lunch menus at weekdays lunchtime. 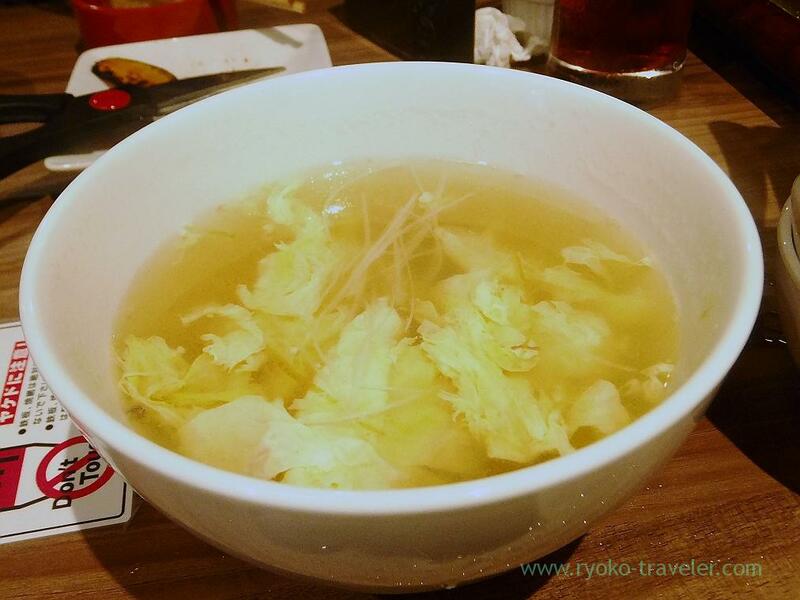 But also at lunchtime, we need to order one drink and pay 300 yen for otoshi (entrance fee). 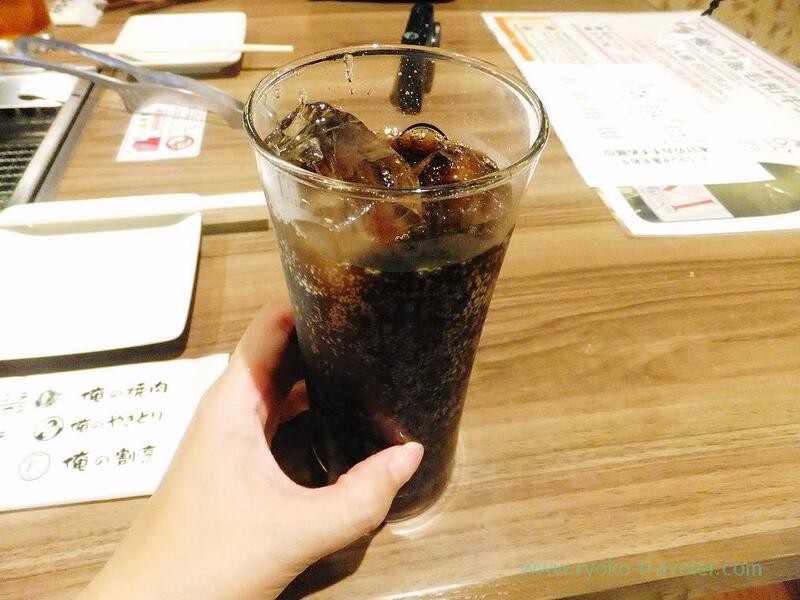 Compared with another “Ore-no” chain restaurants, I wasn’t satisfied with the quality and they didn’t have a very beneficial feeling, though it was not bad. I think they won’t be able to survive in Ginza area though they seems to think opening another branches. Actually, there weren’t much guests nevertheless it was lunchtime.